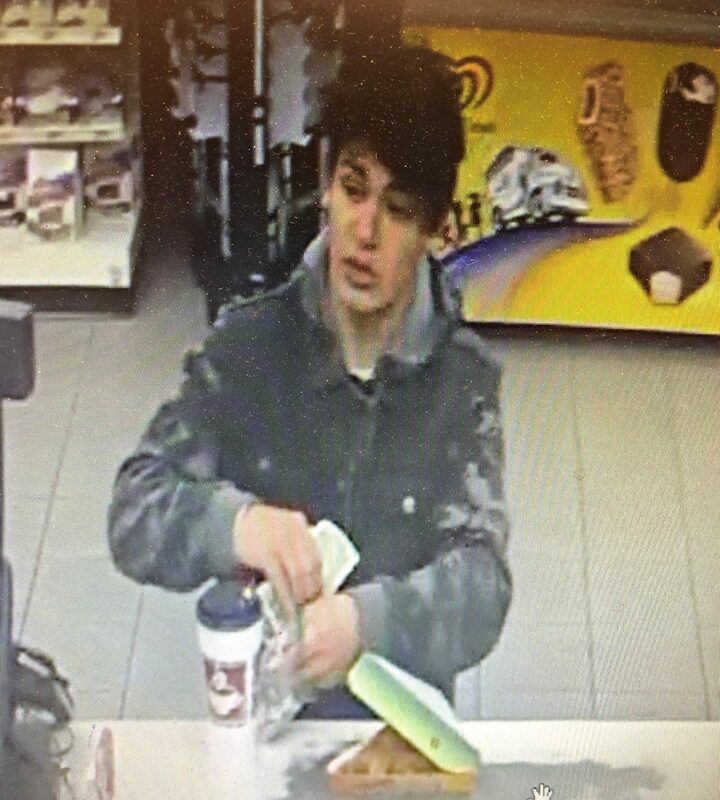 CEDAR CITY — Police are asking for the public’s help in identifying a young male theft suspect. According to a Cedar City Police Department Facebook post shared Tuesday morning, the individual allegedly burglarized a vehicle in the Fiddler’s Canyon area and took unspecified items that didn’t belong to him. Surveillance photos from a nearby convenience store appear to show the alleged thief paying for food items such as a hot drink and a slice of pizza; however, the post indicates he also stole some cigarettes from the store while no one else was looking. Anyone who can identify the young man in these photos is asked to contact Officer Banz or Detective Smith and reference case number C19-00877. The Cedar City Police Department’s non-emergency number is 435-586-2956.